Would you like to be able to wear Kimono by yourself? We are so happy to announce that we will hold Kimono wearing classes again in 2019! 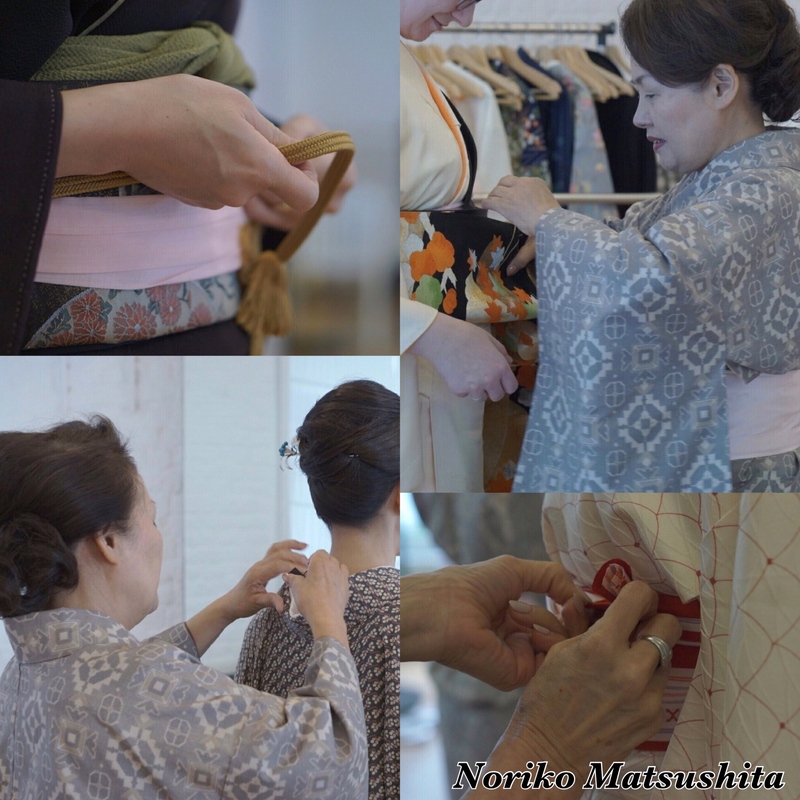 We will invite a Kitsuke-Shihandai (Kimono wearing master) from Japan exclusively for these classes. There will be 2 different classes and each class is only for 5 people so that the Shihan can spend more time on each student. Details: Focusing on different Kimono wearing styles and different Obi styles…etc. *Lunch/dinner on the last day of the class. We go to the restaurant, wearing Kimono. Please choose either weekday-class or weekend-class. ※We have Kimonos for rental. You can keep Tabi after the class. ※You can also purchase necessary items at our salon like Kimono, Obi, all other accessories such as Hadajuban(inner wear for Kimono), Koshi-himo, Tabi, Kourin-belt…etc. Please ask us in advance. Classes are for female only. ☆Applications can be made until each class gets fully booked. ☆Please submit your application as soon as possible by May 15th, 2019. ☆Please kindly note that any cancellation or reimbursement of the fee cannot be made after May 10th, 2019. Please do not hesitate to contact us if you are interested.